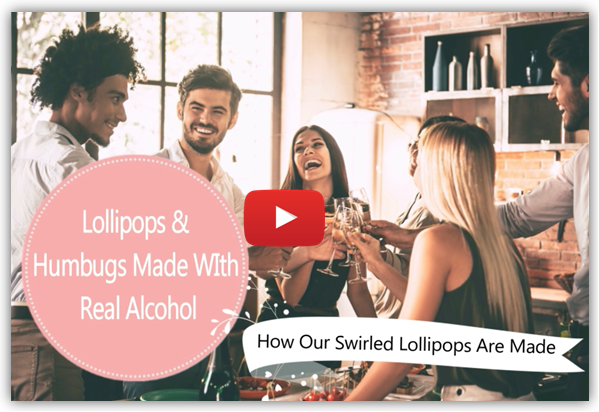 We knew you’d be fascinated by how we make our sweets and lollipops, so we’ve created some videos to show you. In the mesmerising clips you can see the incredibly hard work, talent and patience it takes to create a perfectly formed Alco-Pop! After creating the basic sugar recipe our team quickly cool it on a slab, before adding colour and delicious cocktail flavours. The different sections are then shaped and rolled into a giant cylinder by hand, eventually creating what looks like the world’s biggest stick of candy rock! At this stage the mixture is still soft so it can be fed into a special rolling machine. This stretches the mixture into the perfect size and shape before it is fed into the humbug cutter – that is an actual real machine! Afterwards the individual sweets are cooled and wrapped before being packaged ready for you to purchase. 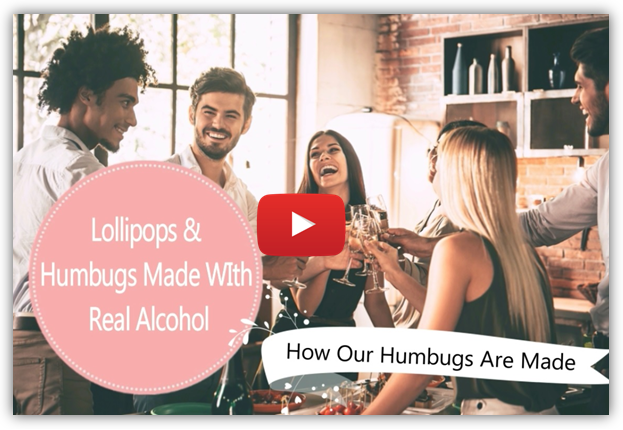 Alco-Pop lollipops begin in much the same way as humbugs, with the mixture being cooked, cooled and kneaded to perfection to give a totally transparent finish. From there it’s rolled and cut into the perfect size before a machine adds the stick. As the mixture is still warm we then use a machine to shape the lollipops before they’re cooled and packaged to make the perfect gift for you, your family and friends. We have small lollies and kids lollies available. As well as a limited stock of large lollies and heart lollies which are now on sale as they being discontinued!